You've heard whispers about it. You've dreamed about it. Nobody talks about it. What is this thing called submission and what does it feel like? It's a subject near and dear to my heart as I'm undergoing it as we speak. Kelly Fiore is back to describe her submission journey. You might remember Kelly from her Getting the Call post. Now she lets us into the secret world of submission. Michelle described it as querying in the dark, and she couldn’t be more right. Submission, for all intents and purposes, is like a second query process. And you thought it was over when you nabbed the agent, didn’t you? No such luck! Basically, submission is when your agent sends a pitch letter to editors to drum up interest in your book and to try to sell it. In many cases, the pitch will include or be closely followed by the manuscript. Editors will read the pitch and decide if they want to move forward in reading the book, thereby considering it for publication. It’s been said many times that publishing is a business of gatekeepers – agents are the gatekeepers that get you to the editors, editors are the gatekeepers that get you to the acquisition committee (which includes publishers) and so on. It’s important to understand that every single person in this equation is an expert in their field. In my estimation, the first “expert” you need in your corner is your agent, because agents make it their business to know what editors are looking for and how your book will fit into that equation. I’ve been on submission three times – each time was a different experience than the next and I learned quite a bit from each one. It was the wake of Twilight, the beginning of the dystopian boom, and the middle of the economic downturn. It’s always hard to get a book sold, but this particular time period was extremely excruciating. I would bet that other writers trying to sell at this time, and agents as well, would agree that this particular year – or chunk of years (2008-2010) – was more difficult than other years in the past. Regardless, I’d written a young adult novel and signed with an agent, so I was really optimistic about sales. That’s one of the things about getting an agent that can be a bit of an illusion – yes, you’ve impressed someone important. REALLY important. But it is only one person. And to sell a book, there are more people to impress. GODS OF ROCK impressed a couple of editors, but it never went past acquisitions. I know why now – the book wasn’t what it could have been. Five years after I wrote it, I know more about writing and I can see what it was missing and what I could do better. But the idea – rock stars with Greek mythological bloodlines – was a cool enough to get some attention. Just not enough support. Something you need to understand is this: one editor may love your book, but that is hardly ever enough, unless that editor is extremely senior in the company. It also wouldn’t be fair for one editor to get to publish everything they wanted; it would force other editors to abandon projects they want to buy, too. So, here’s how submission went with GODS OF ROCK. My agent went out with it to a handful (more than five, less than ten) houses. Over the course of two months, all of them passed. She then went out again. This time, it was a slower response time – about six months when we heard from the last editor. All together, I was on submission for about eight months when my agent and I decided to shelve GODS OF ROCK. We both believed in the story, but felt that my time would be better spent writing something else. I’d had an idea about a Top Chef-esque YA novel, so she suggested I get started on that and we’d put GODS OF ROCK on the back burner until the market got stronger. In the fall of 2010, I finished a draft of my new YA Contemporary, FOOD FIGHT. After a few revisions, my agent sent it out in January 2011 to editors. This time, the editor she pitched at Bloomsbury passed the MS on to Mary Kate Castellani, a then-junior editor at Walker Childrens. Mary Kate loves cooking and baking, so FOOD FIGHT was right up her alley. It took about two months from the initial pitch to hear from her, then another three months for the book purchase to actually occur. Throughout that time, however, there was communication – it wasn’t radio silence. I always knew the sale was impending, I just didn’t know when. My most recent experience with submission was probably my most complicated. When you work with a publisher, your contracts almost always include an option clause. That clause ordinarily asks for first look at the author’s next book. Sometimes that clause is more specific than others. In my case, Bloomsbury had an option for my next YA novel. It was essential that my agent show PVCP to my Bloomsbury editor first so that she would have the option to purchase it. Because PVCP is so different from my other Bloomsbury books, my editor passed. That allowed my agent to pitch and submit elsewhere. IT IS ESSENTIAL THAT YOU JUMP THROUGH CONTRACT HOOPS – otherwise, you could be breaking your contract. A good agent will be able to advise you through this process. After four years with my first agent, I’d signed with someone new, but I found her approach similar to what I was used to. She pitched first to a handful of editors (between 5-10) in the middle of June 2013. Throughout July, she forwarded me the pass emails she received, as well as information and updates from editors who were interested. At the end of July, she received an offer. There are a couple of resources you can check out that will give you further information about how agents pitch and how other writers have experienced submissions. First, here is an example of a pitch letter from my agent, Suzie, for her client and amazing writer, Mindee Arnett. Secondly, here’s a post I did back in 2013 for The Lucky 13s blog about the 2013 debut submission stats. When I was on submission, I googled “acquisition meeting” at least a dozen times. I just needed to read something that made me feel like I understood the process. Harold Underdown’s explanation here was invaluable to me. Seriously. Work on a new book. Try not to focus on what will happen to your currently submitted book and who has it now and when you’ll hear something. Writing and publishing is a marathon, not a sprint. Even when you’ve reached a goal, like getting published, you need to have steps to take to continue the journey. The majority of writers who are successful have many books, not just one. They define themselves by the writing they do, not by the books that are on the shelves. It’s really easy for me to say this, considering I’m not on submission right now. But I can tell you one thing for certain – I will be on submission again. You don’t get a free pass to publishing once you have a few books out. It doesn’t work that way. Everyone has to fight for the right to be heard. Your voice needs to be unique and unforgettable in order to get the attention it requires. Kelly Fiore is an author, foodie, Def Leppard enthusiast, and Fiat owner. Her debut, TASTE TEST, is available now from Bloomsbury USA. Forthcoming books include Just Like the Movies, again from Bloomsbury, in 2014 and The People Vs. Cecelia Price from HarperTeen in 2015. 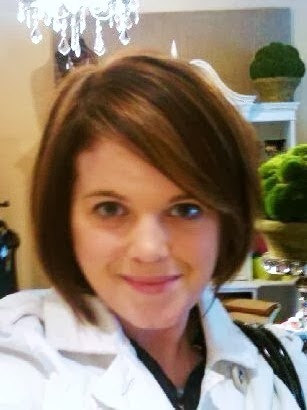 Kelly has a BA in English from Salisbury University and an MFA in Poetry from West Virginia University. She teaches college composition in Maryland, where she lives with her husband and son. You can connect with Kelly at her website (www.kellyfiorewrites.com), on Twitter (@kellyannfiore), or on Facebook (www.facebook.com/KellyFioreYAAuthor). Thanks so much for sharing. I appreciated all the details. Kelly and Michelle, thanks for this great article! The submission process seems to get far less coverage than agent-finding, so it's wonderful that you've added some insight to this process, which (like most in publishing) seems to require a mix of luck, patience, and perseverance.